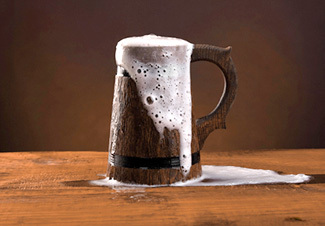 In medieval England ale was a common drink in just about every household. Ale accompanied most meals and this was for two reasons. Firstly, people enjoyed the taste and many of them brewed their own medieval ale at home. Secondly, because ale helped to lift people’s spirits at a time when life could be very harsh. Until recently, I, like many others, believed that medieval people primarily drank a lot of ale (as well as cider and mead) because water was deemed unsafe. However, it seems this is a myth! Many acknowledged scholars of medieval history have stated that drinking water in medieval Europe was commonplace. The same scholars have made no reference to water being regarded as unsafe in medieval times. Water was actually available to drink in different, safe forms such as rivers, streams, rain water and melted snow. People often knew where there was a fresh, running underground stream and dug a well to access it. 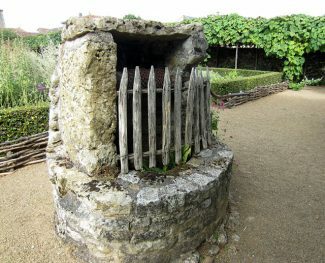 Many wells also served as a water source for medieval gardens and animals. Local fresh running streams that came down from the hills were used every day by local people. Water from rivers and streams was often used to dilute wine. Of course, there were instances where water was polluted just as it can be today. For example, in urban areas or stagnant ponds. In such cases medieval people just avoided it. This is where ale, cider or mead come into context. Medieval people believed that if water was clear, odourless and cold, then it was safe to drink. So it seems that the tendency to drink ale came from people simply preferring it to water! 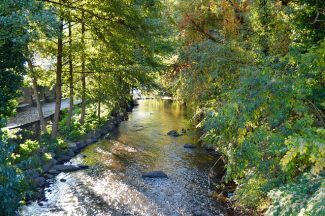 Here is a blog post which gives an insight into the subject of water in medieval times. What Was Medieval Ale Like? The ale drank in medieval times varied in colour, price and in taste. Ale could be bright or cloudy. Basically, the clearer and older an ale was, the more it cost. Poor people usually drank cheap brews, often made by themselves at home. These were generally cloudy and thick with dregs which had not yet settled. The taste varied a lot depending upon what had been added to the ‘brew’. Herbs were sometimes used in the brewing process which was common in Germany in medieval times. 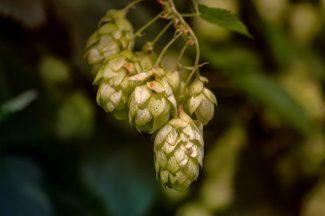 This tradition accounts for how hops first came to Britain and were used for brewing ale. In 11th-15th century England people enjoyed a few variants of the drink. There was poset ale which was made from mixing it with hot milk and there was braggot made with ale, honey and spices. As honey and spices were not commonly available, this type was much more expensive. So, generally it was drunk more by the nobles and wealthy merchants. It is believed that brewers in medieval times were technically not supposed to sell ale which was less than 48 hours old. Therefore, a good ale was always an older one and this is where we understand the term ‘good stale ale’ originates. ie. top notch stuff. Ale was commonly used in medieval cooking. Sometimes it was added to meat dishes and it was particularly popular in medieval bread. 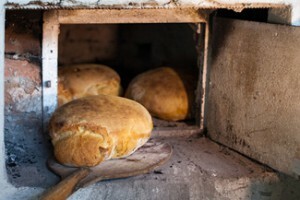 A lot of white bread (baked with wheat) and barley bread was made using ale as an ingredient. Try my medieval style recipe for barley bread which uses brown ale and honey! Today, of course, ale is still popular as a culinary ingredient in England. One of the most popular items on an English pub menu is steak and ale pie. There is one notable piece of literature with references to medieval ale. 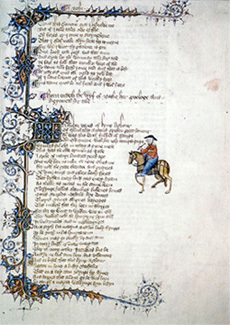 Chaucer’s “Canterbury Tales”. This is a renowned collection of over 20 stories which were written in Middle English by Geoffrey Chaucer in the late 14th century. A period of medieval history which also includes the Hundred Years’ War.